*Food & beer available for purchase. 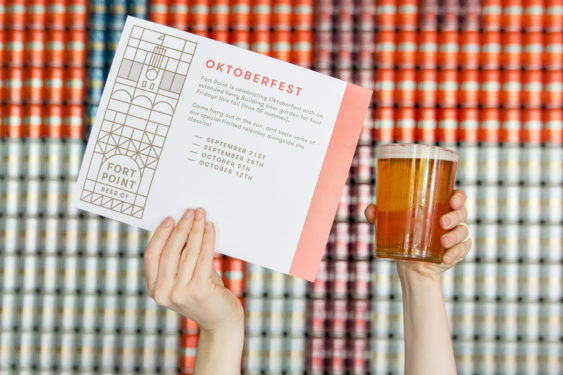 Fort Point is celebrating Oktoberfest with an extended Ferry Building beer garden for four Fridays this fall. Come hang out in the sun and taste some of the special limited releases alongside the classics. The beer garden will be popping up on the Embarcadero promenade in front of Fort Point’s taproom at the Ferry Building on 9/21, 9/28, 10/5, and 10/12.